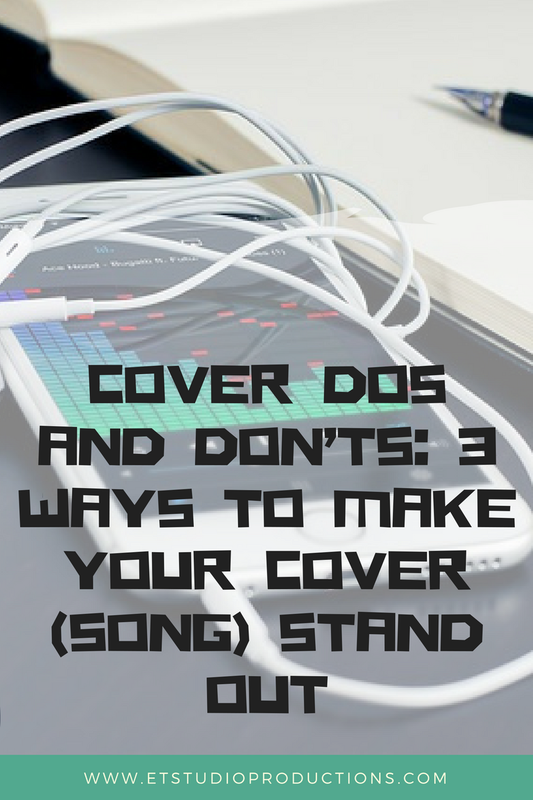 A great way to grab the attention of your potential listeners as a singer or original artist is to cover songs that are hits. Beyoncé and Imagine Dragons already have a fan base that loves their music — and those fans will probably love your sound if you match theirs (or Adele’s or Shawn Mendez’s…you get the idea). So let’s talk about how to capitalize on a market that already exists, while making you stand out as an artist too! Understand the lyrics. It’s your job as a singer and performer to tell the story. It’s surprising to find out how many singers actually don’t understand the words or message they are singing about. Rewrite the lyrics in your own handwriting, or retype them and print them out. Grab a marker and highlight what you think are the main emotional words or phrases of the song. Listen to the song while reading the lyrics. Live and breathe the song as if you wrote it yourself. Match the genre, not the artist. If someone tells you that you sound like Bruno Mars, DO NOT pick a Bruno Mars song. Sure you can use this as inspiration and a guideline, but in order to be recognized for your own unique sound, it’s important to choose a song that is not like an artist with a similar tonality as you. You’ll want to choose a song in the genre of Bruno Mars. But if I can’t tell the difference between you and Mr. Mars on your cover of Mark Ronson’s “Uptown Funk”, that’s probably not the right fit. Perhaps an Usher cover would work better for you. For inspiration to choose a cover, visit Billboard.com’s chart page: http://www.billboard.com/charts#id-chart-category-pop. This link takes you to the pop charts, but you can choose other genres when you get there.